Thank you for visiting my page. I want to help people reconnect to their imaginations, to their innate creativity, to that child-like wonder and curiosity that made each day an adventure. 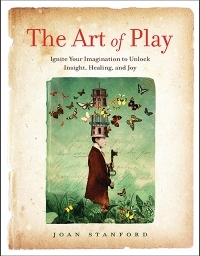 The Art of Play does, as its subtitle invites: Ignite Your Imagination to Unlock Insight, Healing, and Joy. 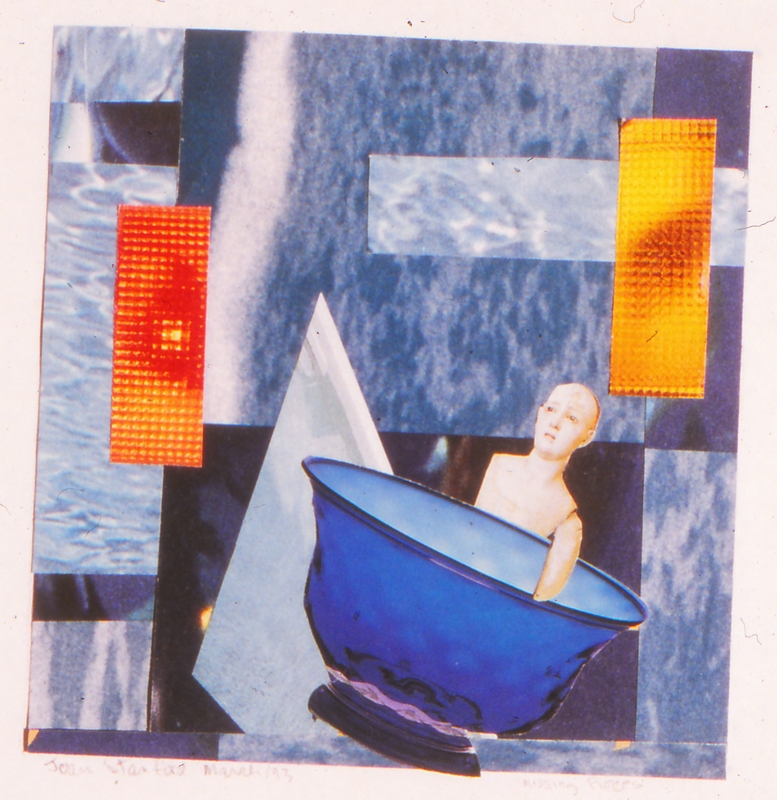 It is a delightful, creative, and warmly personal experience of art as a means of delving more deeply into the fullness of life and consciousness. 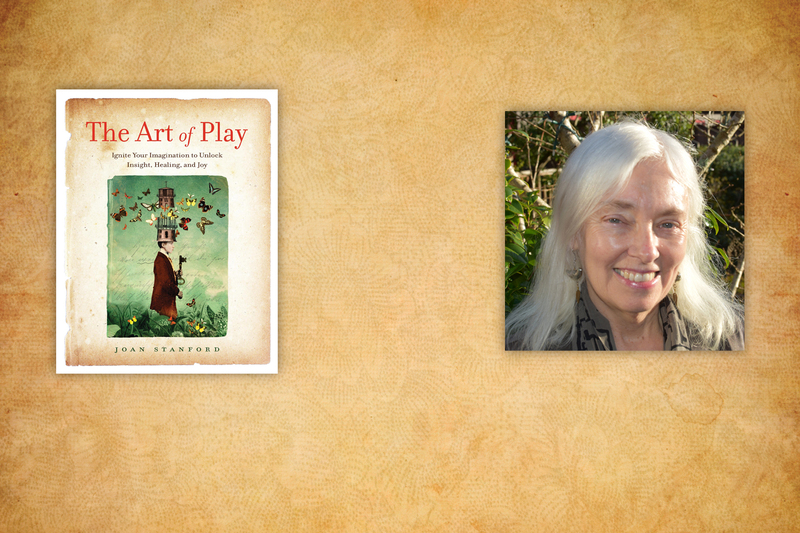 Richly illustrated with Joan Stanford’s own explorations through art, journaling, and poetry, exercises in creative play allow the reader to connect with the exuberance of the inner child, to give light to old wounds, and to examine the wondrous mysteries. It is a gift of sharing that encourages the seeker to rediscover innate creativity and ignite the connection to inner knowing. The Art of Play is a gift to a world in desperate need of healing. A highly personal and moving portrayal of the inner life, it also leads us back to our own child spirit. Joan speaks the first language of all humans, the arts, with eloquence and grace. She turns darkness into light and helps us give voice to the truest and most beautiful within ourselves. The Art of Play is an inspiring example of the power of art to heal. 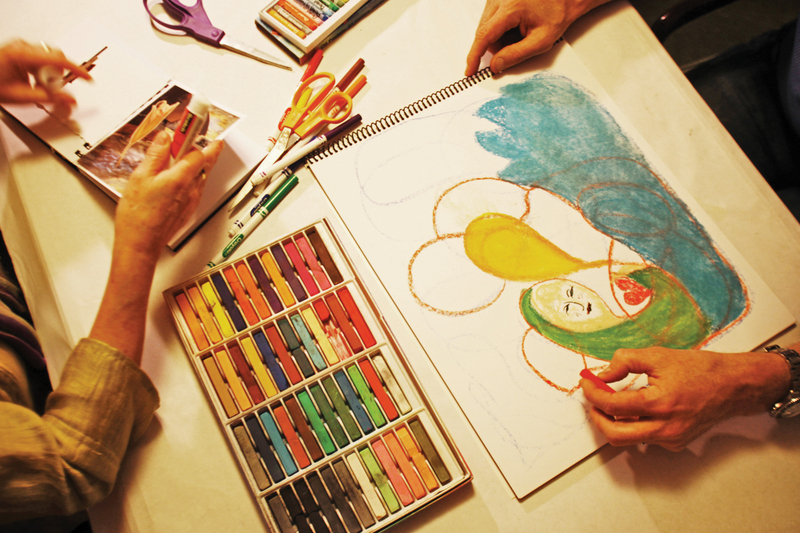 The book is also a valuable tool for those desiring to utilize art making for self exploration and healing, offering learning, wisdom, and a fascinating journey to health and wholeness. Joan Stanford is magical. Her work brings greater joy and passion into your life. And it brings healing. I know this first-hand, and am deeply grateful for both the woman and the gift that is her book, The Art of Play. Use this book to map the pathway to the intersection of play, passion, and purpose in your life. Happy adventures! Finally, something different in the world of vegan cookbooks! While 30-minute weeknight meals have their place, sometimes you just want to roll up your sleeves and cook the comforting, delicious kind of food you’d get at a bed and breakfast. . . . From homemade breads, to luxurious sauces and mains, to brunches you’ll want to share with friends—it’s all here. And it’s all healthy, whole, and compassionate. 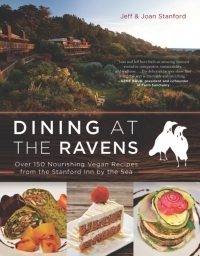 From one of the most magical places on earth comes the cookbook every guest has been waiting for. . . . Now, everyone can enjoy the inn’s spectacular cuisine—from the Citrus Polenta and Ravens Caesar Salad to the Seasonal Wild Mushroom Crepe and my favorite dessert of all time, the Pecan Torte. If heaven exists in the form of a hardcover cookbook, this is it. 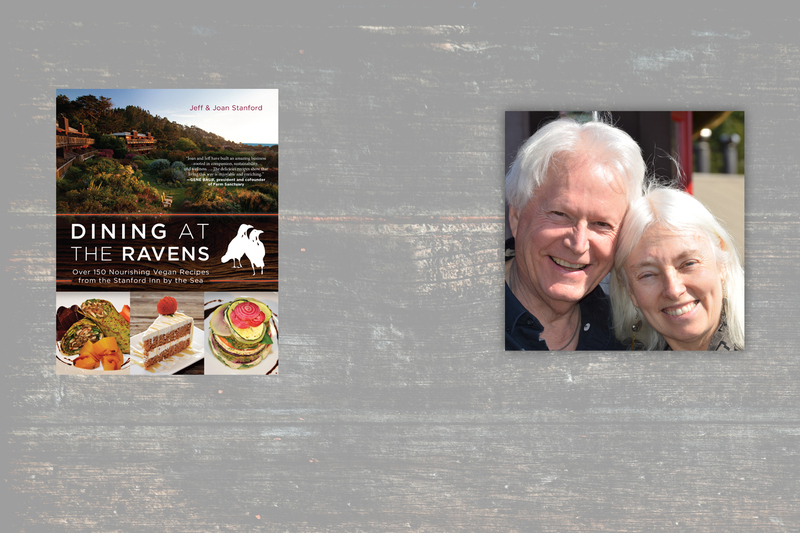 The recipes in Dining at the Ravens are a perfect mirror to the experience of staying at Stanford Inn: comforting, familiar, magical and delightfully surprising. The tantalizing array of tastes showcased in this book are diverse enough to seduce the most seasoned gourmand, yet simple and approachable enough to be enjoyed by new fans of plant-based cuisine. There is no place like the Stanford Inn by the Sea. 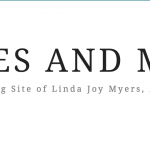 Joan and Jeff have built an amazing business rooted in compassion, sustainability and wellness . . . This book is an extension of their ideals and vegan lifestyle, and the delicious recipes show that living this way is enjoyable and enriching. When I stayed at the Stanford Inn by the Sea, everything was breathtaking . . . But what made it truly remarkable was the food at the Ravens Restaurant. I hope that one day you too will be able to visit this extraordinary place. In the meantime, the next best thing is bringing Ravens to your home. The recipes in this book prove that indulgence and nourishment perfectly commingle. The inspired recipes within these pages showcase how accessible and sumptuous plant-based eating can be. And now you can bring the sublime experience of dining at The Stanford Inn into your own kitchen. From inspired gourmet dishes to wholesome comfort food, there’s something here for everyone—and it’s all amazingly delicious and cruelty-free!